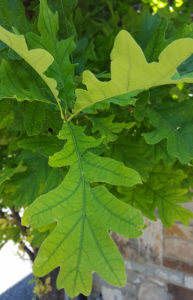 Trees in the Intermountain west can suffer from a variety of insect and disease problems. Not every product can save or improve every tree but at Total Tree Care we strive to use time tested, science based products that are effective. All of the products we use are soil applied or trunk injected. This eliminates the attendant problems associated with spraying such as drift of product, washing off in the rain, and securing the area before and after application. After our treatment the area around the tree is safe to use because the product is in the soil or tree. Common problems that we treat for are: nutrient deficiencies such as iron and manganese chlorosis, aphids, bronze birch borer, oystershell scale, European elm scale, ips engraver beetle, pine needle scale, and spruce spider mite.